Cycling in the parks of Toronto Island is a perfect way to take in the view (photo: Canadian Tourism). Catch a quick ferry ride to Toronto Islands, it has a quaint amusement park and two patio restaurants (photo: Canadian Tourism). The Toronto International Film Festival takes place every September, it's a good time to spot some celebrities (photo: Torontowide). 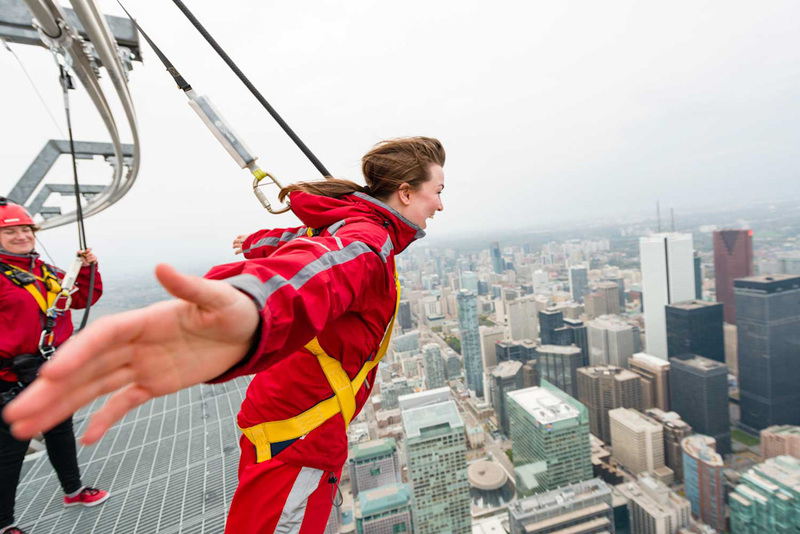 The CN Tower Edgewalk is touted as “the world’s highest full-circle hands-free walk” (photo: Canadian Tourism). The Hockey Hall of Fame is 4,700-square-metre shrine to Canada’s national obsession (photo: Canadian Tourism). 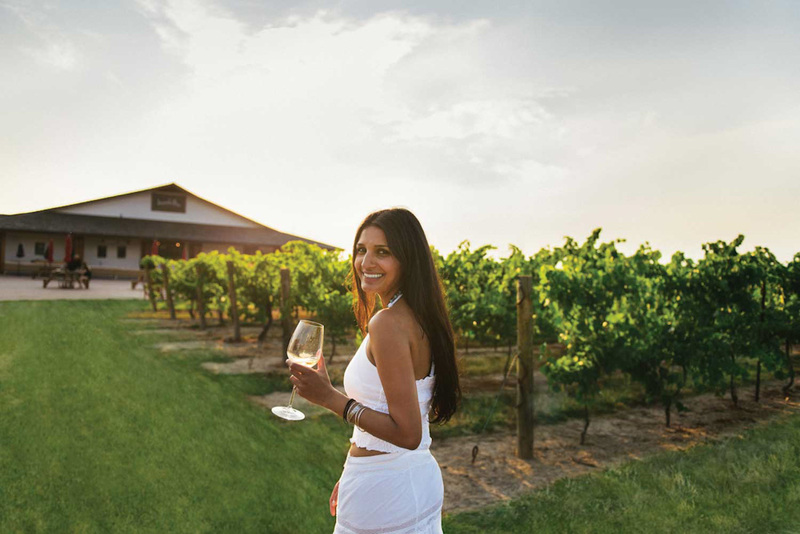 With over 20 wineries to choose from in the Niagara Peninsula for your wining and picnicking needs, it'll be a tough choice (photo: Canadian Tourism). Nuit Blanche is a contemporary art festival that runs all-night in Toronto on the first Saturday in October (photo: Tourism Toronto). Canada's Wonderland will keep the whole family entertained. 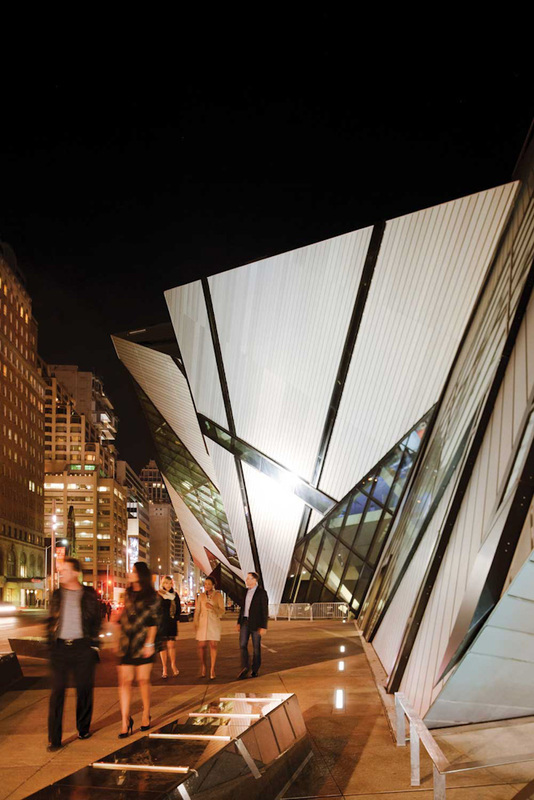 If you're after something a bit more cultured to do, then head onto the Royal Ontario Museum (photo: Canadian Tourism). 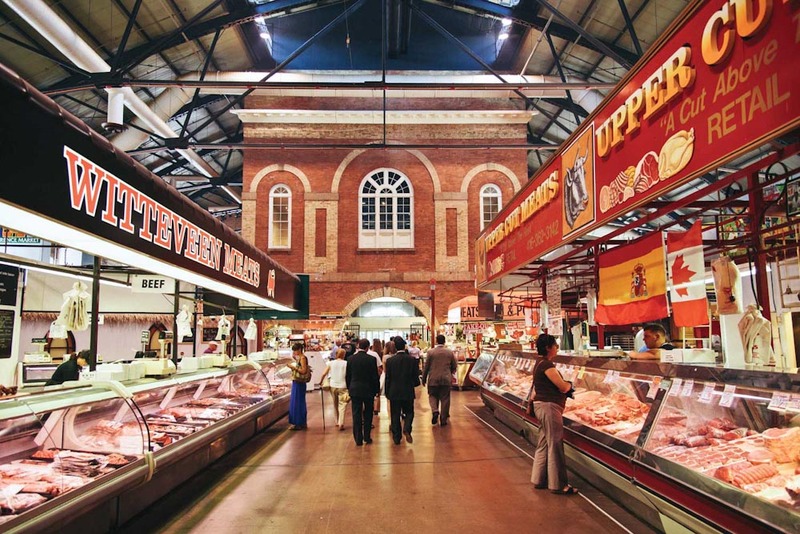 St. Lawrence Market is a massive foodie's paradise (photo: Canadian Tourism). One of the most joyfully multicultural cities on earth isn’t Canada’s capital, but you can be forgiven for thinking it is. Adam Bisby reveals the best things to do in our Undiscovered Toronto City Guide. 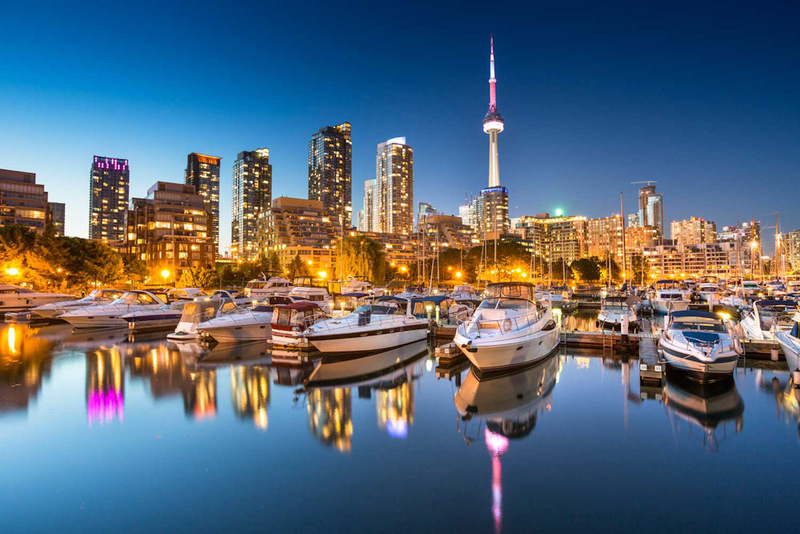 There’s no overlooking Toronto, what with the CN Tower, the world’s third-tallest freestanding structure, soaring over the bustling Lake Ontario waterfront. Down at street level, the City of Neighbourhoods is one of the most culturally diverse destinations anywhere, with a non-stop parade of festivals, a theatre scene that’s second only to Broadway in North America, and the world’s largest movie extravaganza, Toronto International Film Festival, rolling out the red carpet every September. Toronto Islands Park is a 15-minute ferry ride from the bustling downtown core, yet it feels like a faraway slice of Ontario’s serene cottage country. Many visiting families head to the quaint Centreville amusement park on Middle Island, but relatively few stroll 15 minutes east to Ward’s Island, the home of Toronto’s finest stretch of sand, two delightful restaurant patios – at the Island Cafe and The Rectory – and a community of whimsical cottages that look like something out of Beatrix Potter. Ten kilometres further east along the lakeshore you’ll come to the Scarborough Bluffs, a 14-kilometre-long sedimentary escarpment that provides a dramatic backdrop for more of Toronto’s best beaches, a network of marsh-crossing boardwalks, and an expansive marina where fishing charters do a brisk business. Much of the daily catch will make its way to St. Lawrence Market, a massive covered foodie paradise just east of downtown. Outside of peak hours – early mornings, lunch hour, rush hour and Saturday in general – you can make a meal of sampling the wares at the scores of vendors spread over the market’s two floors. Opened in 1976, the 553-metre-tall concrete spire was the world’s tallest free-standing structure for 34 years. The engineering is impressive, but the place is a lot of fun, too. You don’t need to know don’t know your face-offs from your slapshots to be won over by this 4,700-square-metre shrine to Canada’s national obsession. If your visit doesn’t take place in early September, when hundreds of films debut on dozens of screens, you can still get a taste of the buzz at TIFF’s downtown headquarters. If you’d like to join all those Torontonians out on the lake, the Harbourfront Canoe & Kayak Centre can help. In addition to renting the watercraft in its moniker, the centre offers stand-up paddleboards, as well as self-propelled tours, lessons and camps. To escape winter’s chill, locals have been flocking to the Allan Gardens Conservatory for more than a century. The five domed greenhouses include a balmy Tropical House full of orchids and begonias, and a Palm House where banana trees and a lush Screw Pine rise over winding walkways. 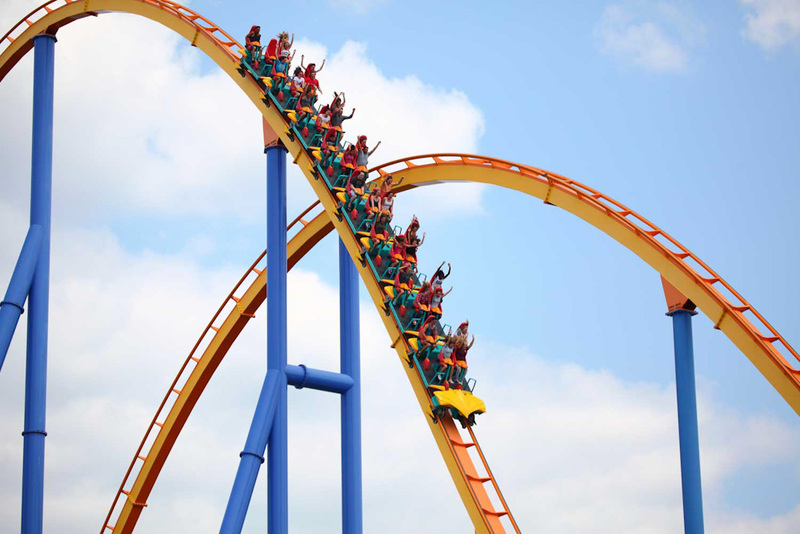 Canada’s Wonderland, the country’s largest theme park, features more than 200 attractions, 68 rides, an eight-hectare water park and a variety of live shows. It more than holds its own with American rivals, with the Western Hemisphere’s greatest variety of rollercoasters, including Leviathan, Wonderland’s tallest, and Vortex, Canada’s first suspended coaster. If your young charges prefer swashbuckling to scream machines, Pirate Life themed day cruises search for sunken treasure around the Toronto Islands aboard the 45-foot Island Rogue. A tickle trunk – that’s a dress-up chest to you and me – of pirate attire is provided, as are face paint and temporary tattoos. The country’s largest zoo also calls Toronto home. The 287-hectare expanse is home to more than 5000 animals encompassing 450-plus species, including newly arrived twin panda cubs, a rhino calf, white lion cubs and a polar bear cub. The CN Tower Edgewalk is touted as “the world’s highest full-circle hands-free walk” – as if there is any real competition. In groups of six (with one guide), visitors totter around the edge of the tower’s main pod while tethered to an overhead rail system that lets them lean out over the streets below. Not for the faint of heart (or bladder). While many locals bemoan its edgy glass-and-aluminum façade, few can deny the Royal Ontario Museum’s status as Canada’s most extensive collection of, well, anything and everything. The sprawling complex houses more than six million items in 40 galleries, with world-class collections showcasing dinosaurs, Near Eastern, African and East Asian art, and European and Canadian history. The downtown Theatre District is the third-largest English-speaking stage hub in the world, with many productions that rise to fame in New York and London soon making their way to the glittery venues that comprise the Mirvish Productions empire. The club and concert scene, meanwhile, is among North America’s best, with Massey Hall, the Horseshoe Tavern and Lee’s Palace being the stuff of live-music legend. Does it get any hipper than Kensington Market? Chinatown’s western neighbour takes that area’s ethnic energy and adds a dose of bohemian style. Ramshackle storefronts house everything from vintage clothing boutiques to taco joints, while street performers swallow swords and do their best Bob Dylan impressions for passers-by. At the other end of the style spectrum, Yorkville is Canada’s ritziest neighbourhood, with Gucci and Prada boutiques lining the Mink Mile and various high-end hotels and restaurants hosting the glitterati. What you can’t wrap up to take home: the 650-tonne hunk of billion-year-old Canadian granite dubbed “The Yorkville Rock,” which was delivered to the Village of Yorkville Park in pieces and reassembled to stunning effect. 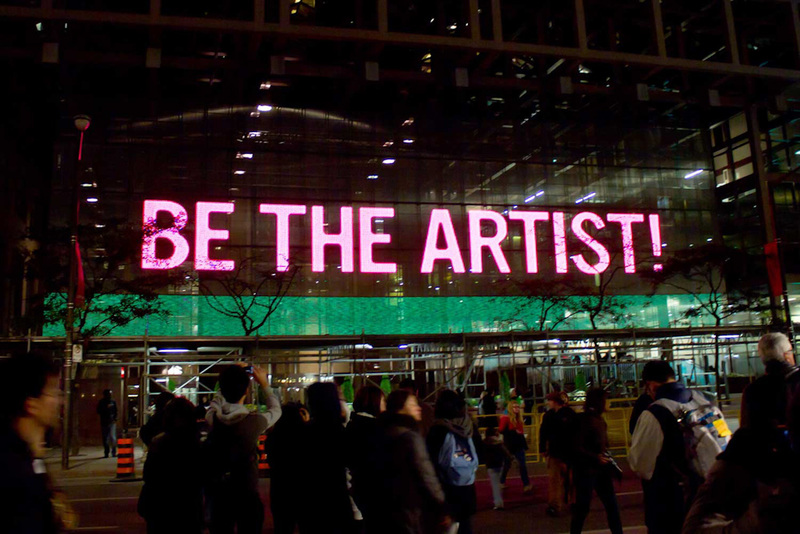 Nuit Blanche, an all-night contemporary art festival, invades Toronto on the first Saturday in October. It features commissioned works by local, national and international artists, as well as independent projects by Toronto museums, galleries and institutions. Certain sections of the city basically become edgy outdoor galleries, many of which are interactive and all of which are free to admire. There’s a veritable frenzy of sports excitement come autumn, with the Blue Jays vying to win the World Series of baseball, the Argonauts fighting for the Canadian Football League’s Grey Cup, Toronto FC hoping to hoist the Major League Soccer Cup, and the Maple Leafs embarking on another National Hockey League season. The Toronto Santa Claus Parade, one of the world’s oldest and largest processions of its kind, rolls merrily through town on the third Sunday in November. If you think the Niagara Peninsula is all about its famous falls, think again. 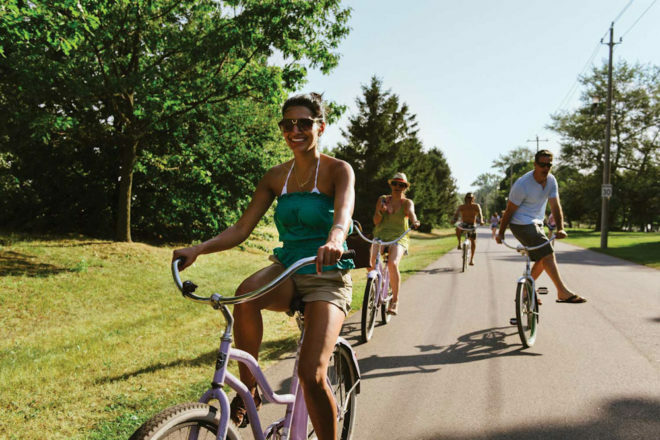 Ninety minutes south of Toronto by car, the historic town of Niagara-on-the-Lake is more relaxed and refined than the neighbouring city of Niagara Falls. Here, a mani-pedi at the 100 Fountain Spa can be followed by a picnic amid the vines at one of the area’s more than 20 wineries, golf at the Royal Niagara Golf Course, or one of the season’s Shaw Festival plays. Luxury: Four Seasons Toronto – This 55-storey gem, part of the Toronto-based global luxury chain, is right at home in the heart of ultra-ritzy Yorkville. Family: The Westin Harbour Castle – Spacious suites and a prime lakefront location make this an ideal spot to stay and play with the brood. Comfortable: Old Mill Toronto – Escape the bustle of downtown in this rustic-styled lodge nestled in the pretty Humber River valley. Budget: Alexandra Hotel – What it lacks in decor it makes up with great value and a quiet location steps from Kensington Market. Canoe: Scenically set on the 54th floor of the TD Bank Tower, this upscale eatery celebrates Canadian cuisine with ingredients ranging from Alberta lamb to Prince Edward Island potatoes. Lee: Toronto’s best-known celebrity chef, Susur Lee, displays his considerable culinary talents in this King Street hot spot, where Asian-fusion reigns. El Catrin: On one of the cobbled lanes of the historic Distillery District, this easygoing Mexican eatery serves a tapas-style menu under giant hanging lampshades.